Deep Silver’s much-anticipated Metro Exodus — the third instalment in the series — won’t be out until February 15th, but it might be a good idea to start clearing out space on your hard drive for it because this baby is pretty big. According to the official Xbox product page, Metro Exodus will take approximately 53.45 GB of storage space on the Xbox One. While that still isn’t hitting Gears of War 4 levels of insanity, that’s still enough to turn a few heads, especially if you’ve gone mostly digital this generation. That 53GB appears to be the max size of the game on an Xbox One X console. In other words, it’s a big download because of all the 4K Ultra HD assets and HDR10 capabilities. 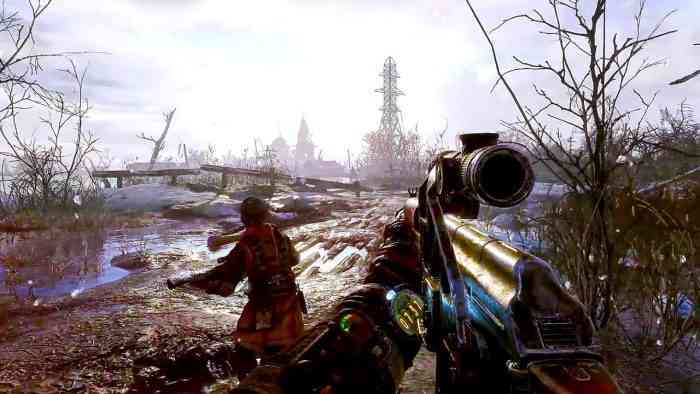 If you’re an owner of Microsoft’s super powerful console, this news should make you happy knowing that Metro Exodus will take advantage of the hardware. We wouldn’t expect anything else, considering the game was featured so heavily during Microsoft’s E3 2017 conference. If you’re rocking an Xbox One S, there’s a good chance the file size will come out a bit smaller. It’s probably a safe bet to say that the PS4 and PC file sizes will be similar. Recently revealed PC requirements show a 59GB download, which makes sense considering the options available for visual quality. The PS4 Pro version, on the other hand, might end up being a touch smaller than the Xbox One version if it doesn’t support 4K resolution. We’ll just have to wait and see to get confirmation. Either way, you’re going to want to clear some room before the launch date. What version of Metro Exodus are you planning on buying? Let us know in the comment section down below.